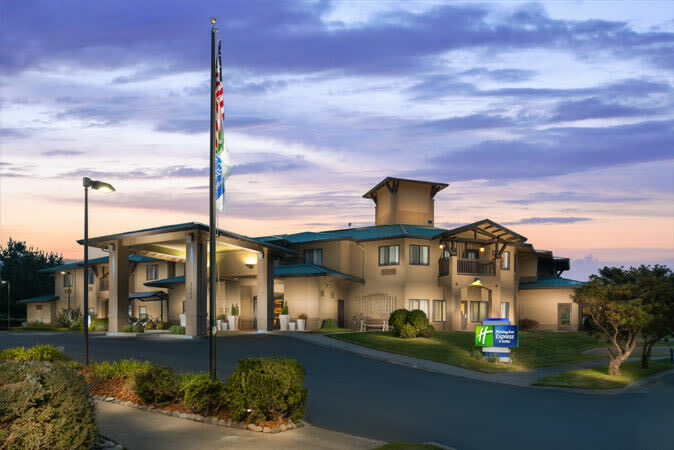 Relax and enjoy yourself in the modern conveniences of Northern California's newest Holiday Inn Express Hotel & Suites, a 100% non-smoking hotel. 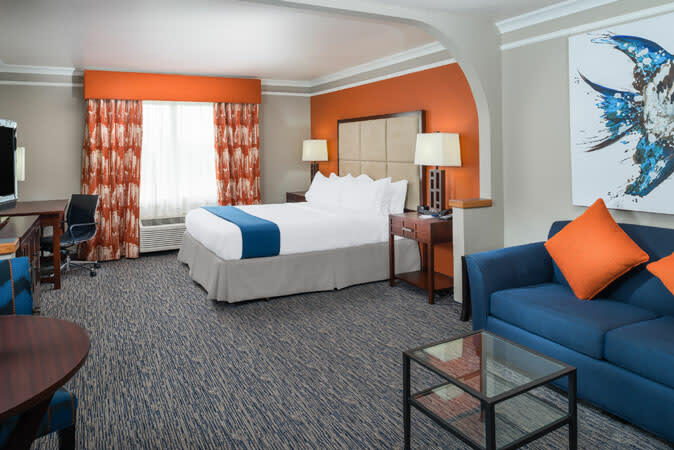 Venture through misty ancient redwood groves or stroll along unspoiled sandy beaches with spectacular views of the Pacific and its rugged coastline, all within minutes of the hotel lobby. 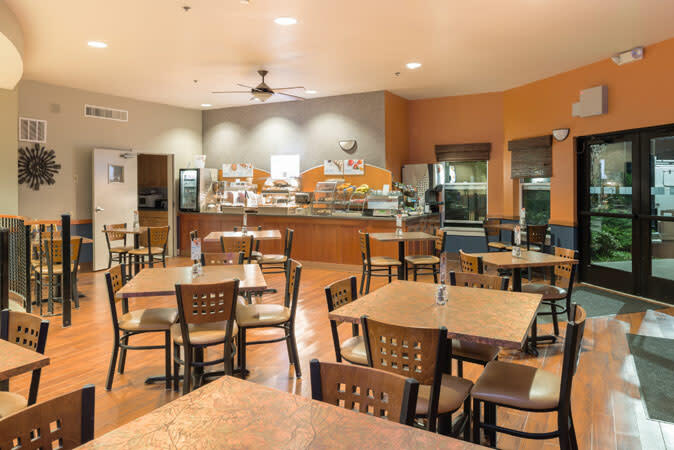 For convenient meeting space near the California Redwood Coast-Humboldt County Airport, choose our hotel's two meeting rooms. The first-floor Pacific Room seats 65 guests and the second-floor conference suite is great for board meetings. A/V equipment and catering services are available. The Inn's mission style architecture and country setting reflect the natural beauty of the north coast environment. 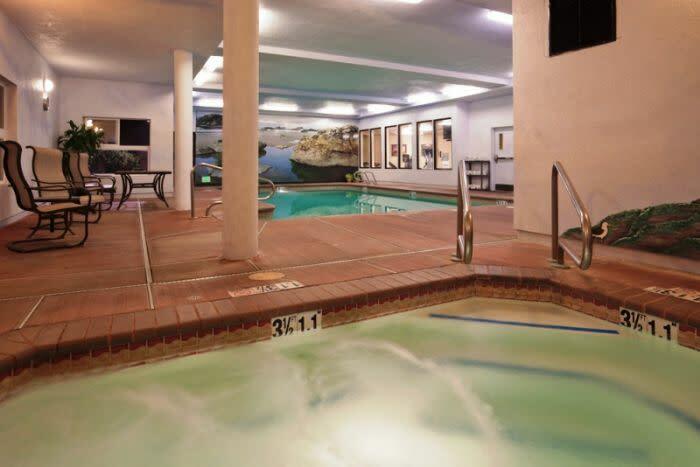 The hotel is located just minutes from Humboldt State University. Old Town Eureka is an easy 20 minute drive south and the charming town of Trinidad and Patrick's Point State Park are just 10 minutes to the north. We are also the closest hotel to Cher-ae-Heights Casino. On Hwy 101 north of McKinleyville, take the Airport exit to Concorde Drive.